Anne Frank is the most well-known victim of the Holocaust. In 1945, at the age of 15, she died at Bergen-Belsen concentration camp, becoming one of the six million Jews who were murdered in Europe under the Nazi regime. But through her writing, her memory lives on. Her Diary of a Young Girl remains one of the most widely read nonfiction books in the world, and was described as “one of the greatest books of the last century”. Anne started keeping a diary shortly before she went into hiding with her family in 1942, and over the course of two years she honed her craft as a writer, documenting the details of their daily lives alongside her personal reflections, fears, and aspirations. By chance, the majority of her writings were saved after the family was arrested and in 1947, after much deliberation, her father, Otto, oversaw the publication of the first edition of her diary in the Netherlands. Within a decade, it had become an international best seller. First adapted for both stage and screen in the 1950s, awareness and readership of Anne’s diary continued to grow and its author became a household name, gradually acquiring something of a symbolic status. Seventy years on, The Diary of a Young Girl still resonates just as powerfully with young and old readers alike. 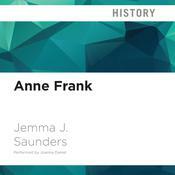 Jemma Saunders goes beyond Anne’s diary to fill in the gaps about her family history, her life before she went into hiding, and her final months at Bergen-Belsen concentration camp. A sobering tale, Anne Frank’s story is one that will continue to inspire for decades to come. Jemma J Saunders works at the University of Birmingham. She is also the author of The Holocaust: History in an Hour.